Beautiful and Sweet Gavin for sale. 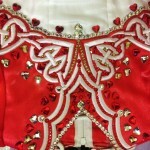 True red with white Celtic heart embroidery. Stored flat in non-smoking home. Very good condition. Expertly stoned with hundreds of Swarovski crystals in hues of clear, red and gold. 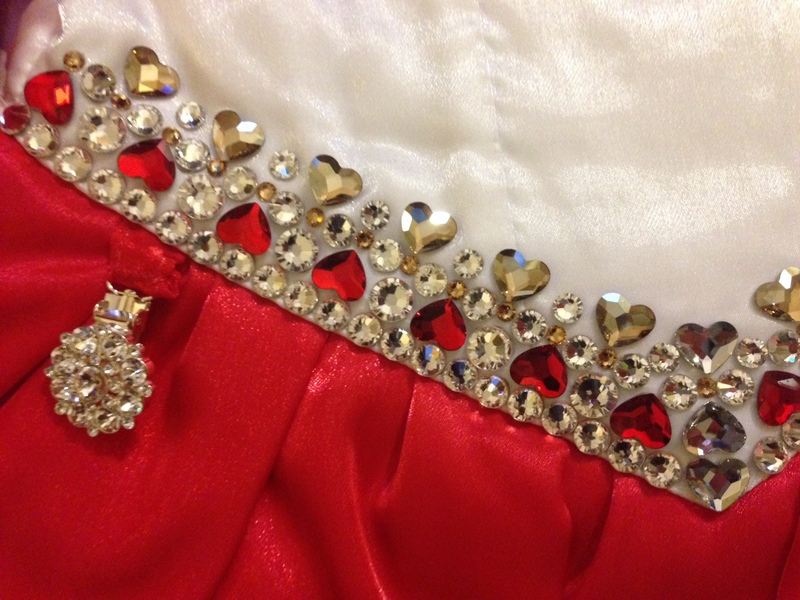 Most of the crystals heart shaped. None missing. 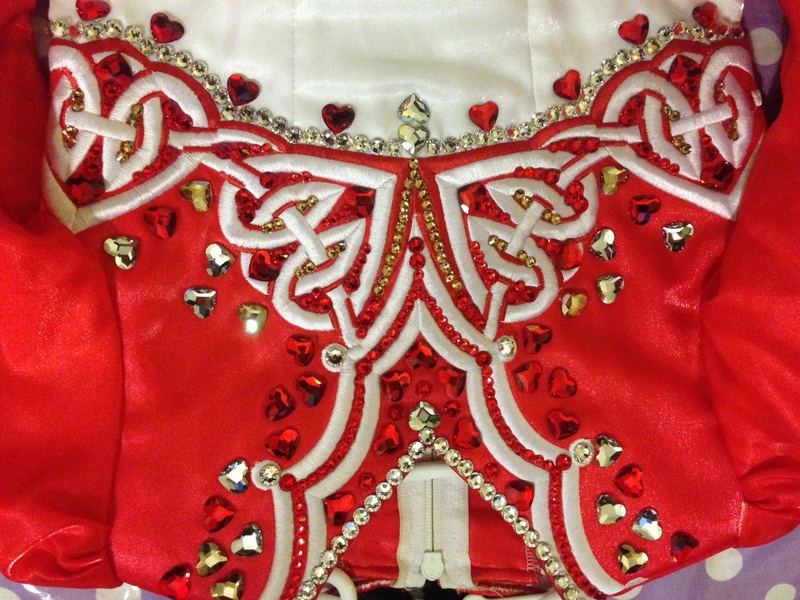 Comes with red Swarovski stoned hair bow, red bloomers, jeweled new number clip and bag of replacement crystals. This dress always receives numerous compliments. 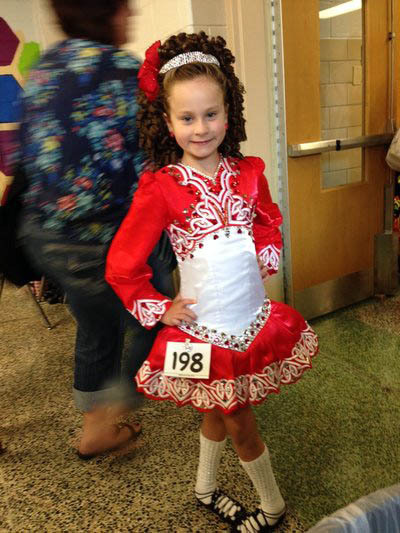 It is light weight for the young dancer and stands out on stage among the sea of pink! 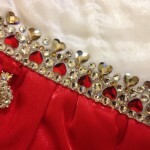 Two inches of let out and let down in the twinkle satin, generous seams. Asking Price: $US680.00. Shipping costs are not included in the asking price. Returns are negotiable.